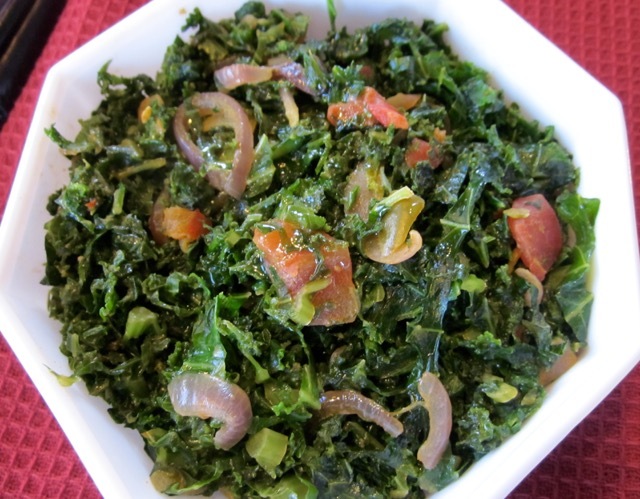 100 g (3.5 oz) of cooked Kale: provides 28 calories and the following RDA of Vitamin K(778%), Vitamin C (49%) and is also a source of carotenoids lutein and Zeaxanthin (85%). Heat the olive oil over medium heat. Add the onions and sauté until soft. Add the diced tomatoes and cook for two minutes then add curry powder and paprika and cook for one minute. Add the coconut milk and season with salt and pepper. Add the Kale and cook to your desired doneness. I usually cook mine until the leaves wilt (4-6 minutes). Prev What is Urad Dal (Black Gram)? Did you try it? Let me check out your blog. Thanks for visiting mine. I didn’t get a chance to try it yet but it is on my list!! I will let you know what I think when I make it. 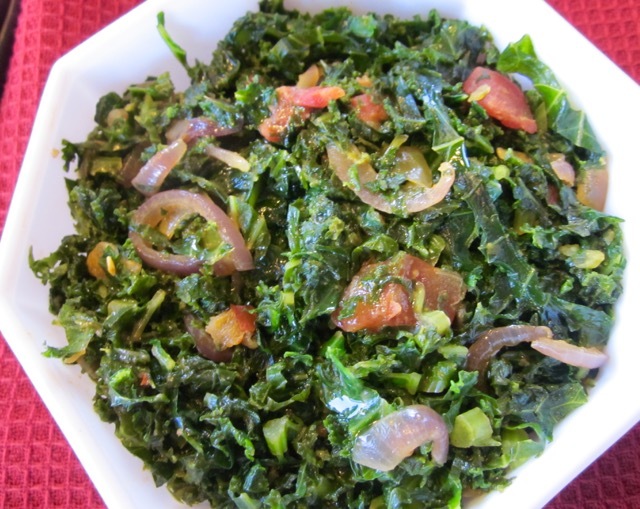 This is like a fancy, healthy version of creamed spinach, can’t wait to try it! Me I only eat it with Ugali. 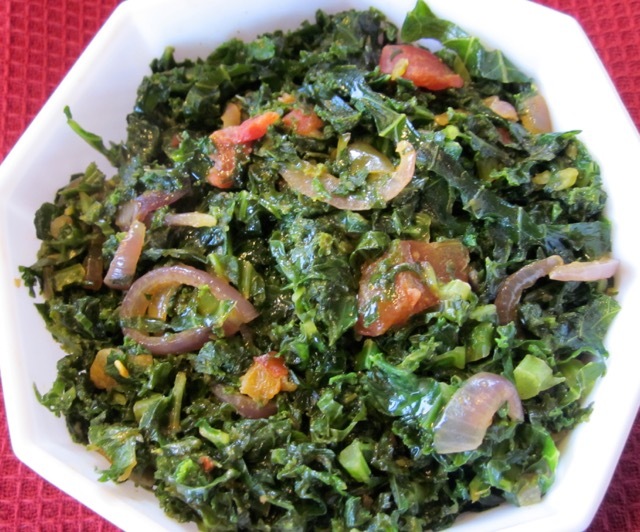 No rice when it comes to sukuma. Habari ya kupotea? Haha, niko poa ni hustle tu Nairobi.Habari yako? Leo ni Good Friday, Sasa tumepoa tuu? Happy Easter! It’s time to use up the kale in the garden before it goes to seed. I love, love, Kale. I eat it everyday, almost. Very nutritious.